Let me paint you a picture. It was July 3rd, 2012. I was quickly fishing through my junk folder in my email looking for a message from a friend that never showed up. I decided at this point to multi-task and to delete as I went. 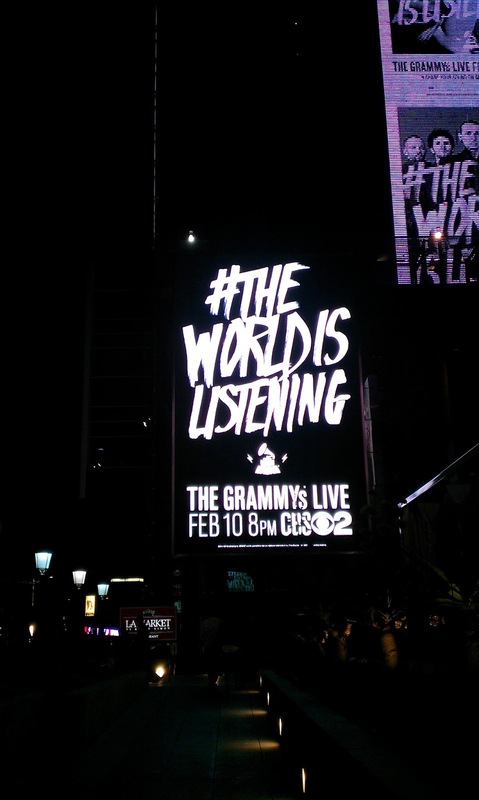 Along the way I came across a subject line that was inviting me to the Grammy Awards. After picking my jaw up off the floor I started to worry. Was this a scam? We all know how the internet and email is full of phishing scams these day. You always have to be cautious. It was late and the next day was a holiday so I had to wait to call and see if this was legit. In the meantime I called my cousin to invite her to be my guest, cause naturally this was gonna be legit right? She agreed but also had the same worry as me. The 5th finally came around and I called the number. Not only was it legit, the lady couldn't believe I actually called. Apparently most people just assume its a scam and lose the trip. So fast forward to February 2013. 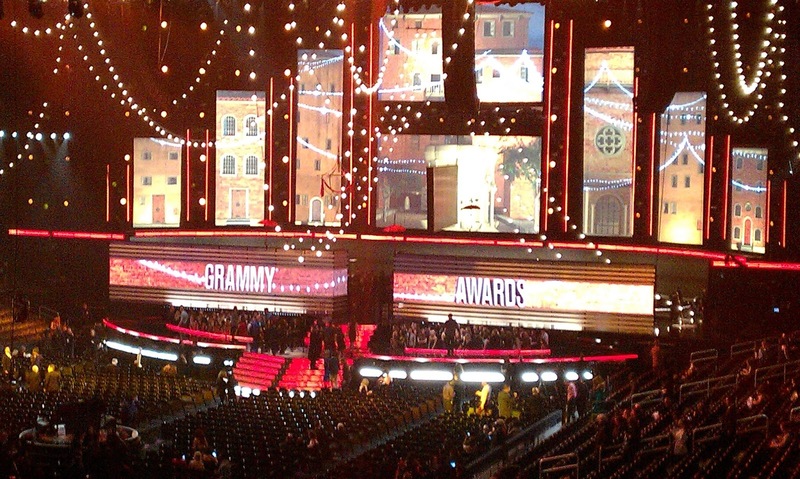 We were being picked up by a car service and whisked away to the airport to catch our flight (Which we almost missed..) to Los Angeles to attend the 55th Annual Grammy Awards. 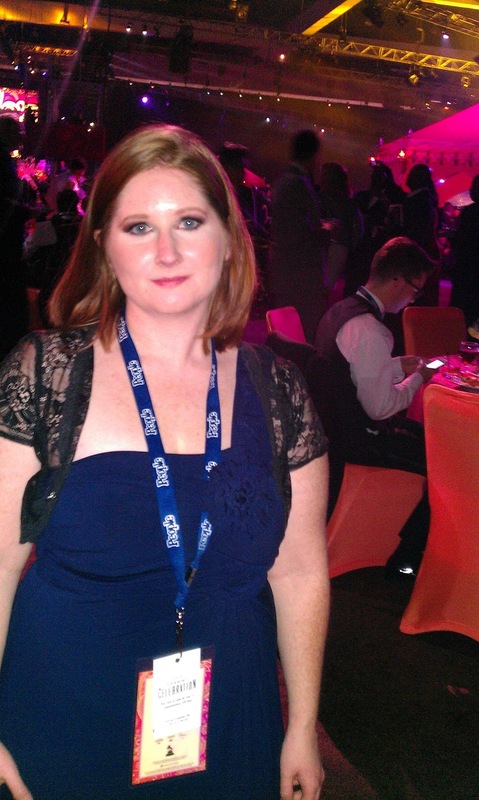 Now being we are in full award season now and the Grammy's are on Sunday, I figured I would share my experience in pictures. My dream come true. I hope you enjoy! 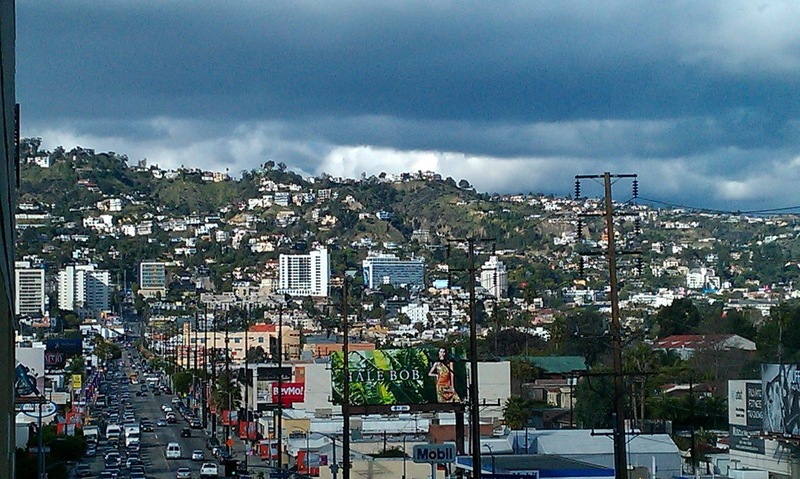 It was pretty rainy while we were in LA. 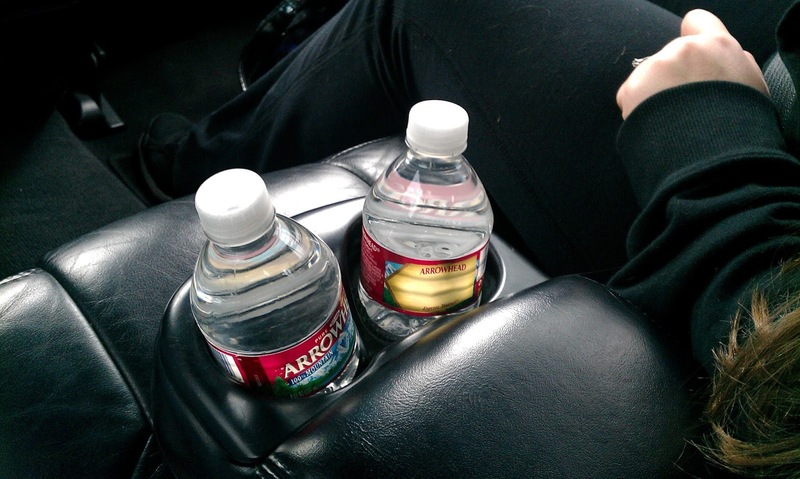 Wasn't used to this because I don't think it ever rained any other time I was in L.A! 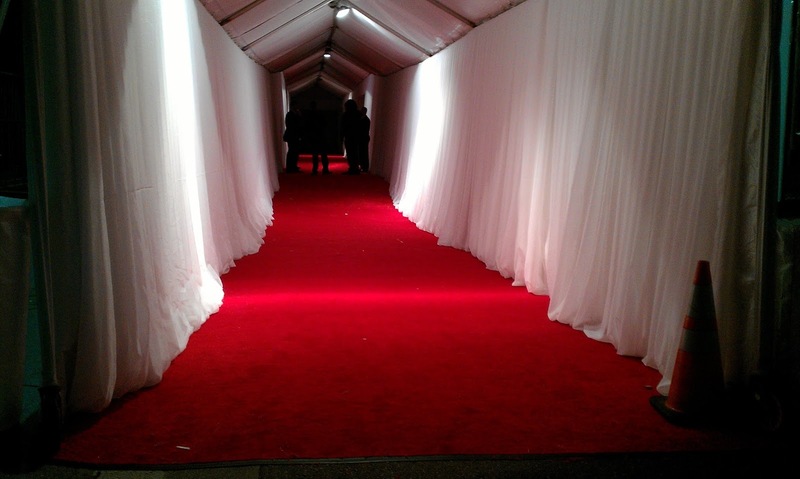 The Red Carpet the night before the Grammys. Look's so fancy! 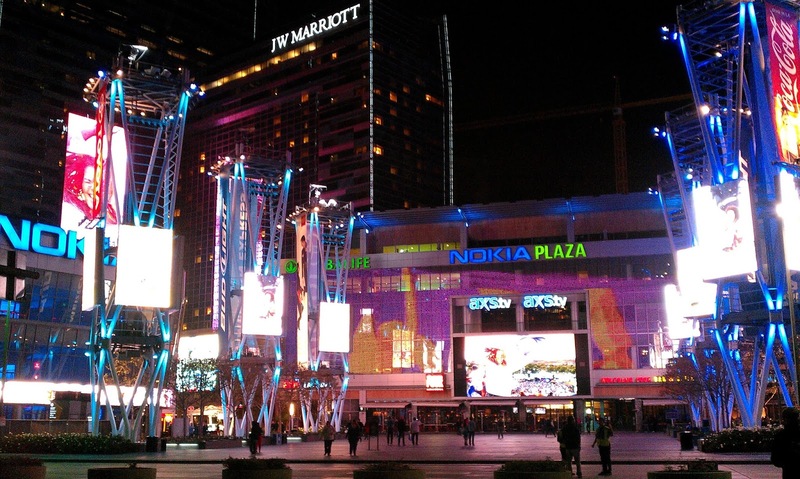 We were smack dab in the middle of L.A. Live. We stayed at that JW Marriott pictured. 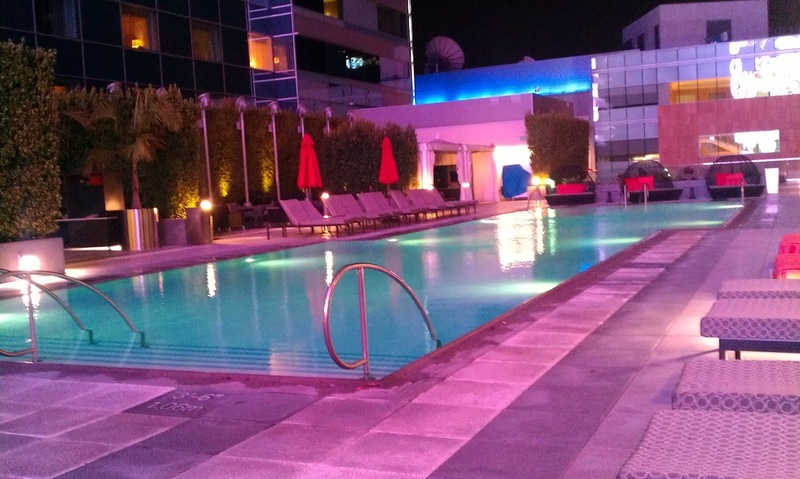 Did I mention it had a roof top pool? The night before. We so fancy. 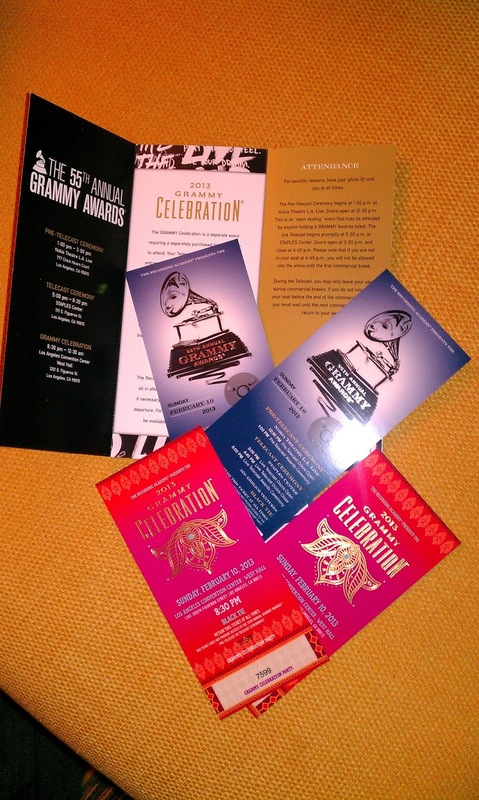 This is what Grammy tickets look like. 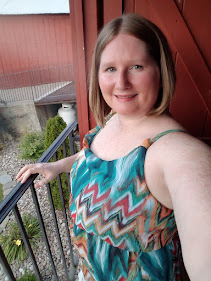 I clean up good. Yes? 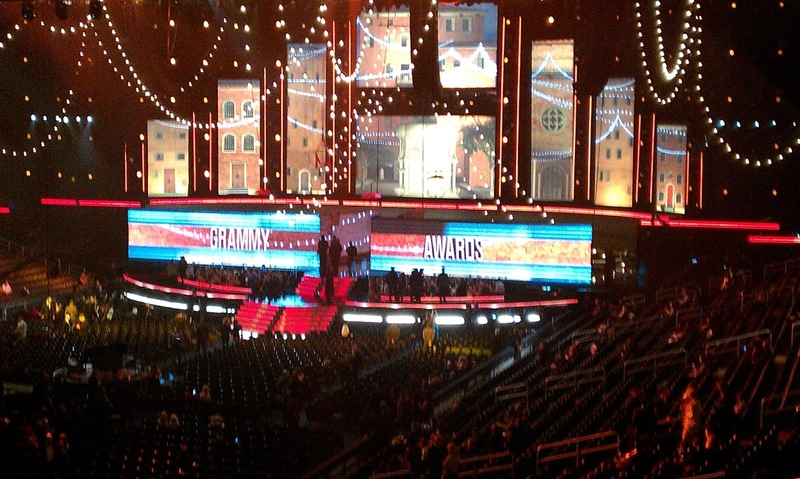 This is what the Grammy's look like straight from the nose bleed section folks! They had all these pretty lights. The theme idea was stolen from the folk who sing Ho Hey. After Party! Sorry for the crappy picture- No cameras allowed but I had my cell. 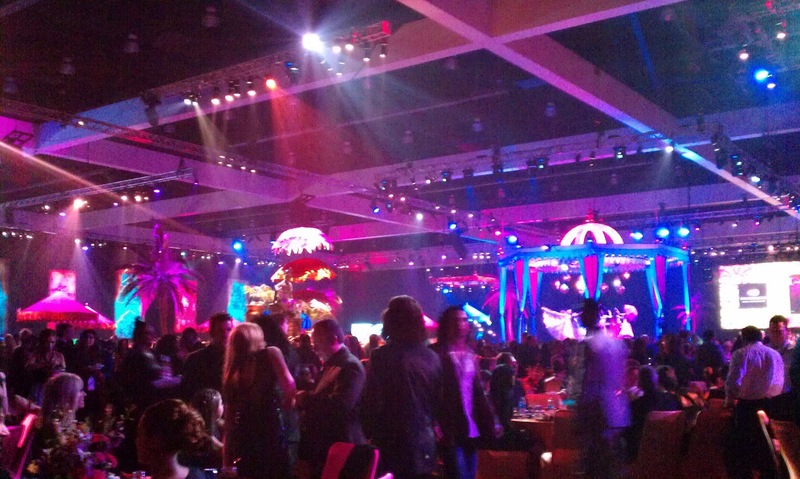 It was bali themed. So cool! So there you have it. 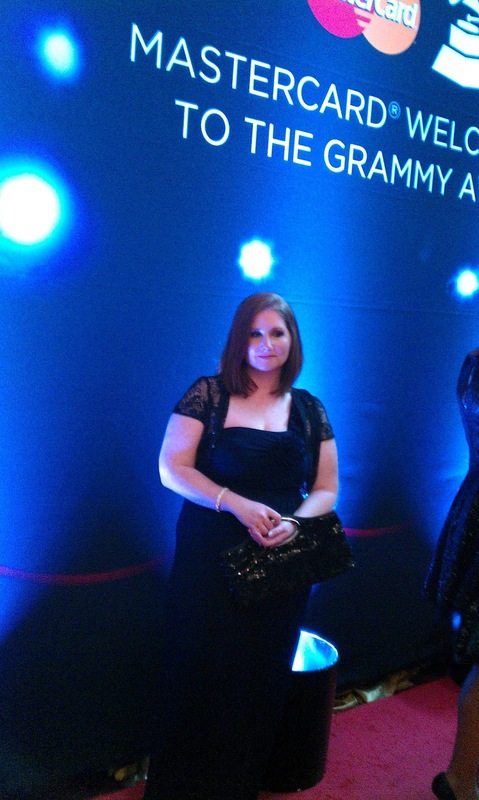 My Grammy experience! I hope you enjoyed it. Don't forget to tune in on Sunday! So cool!!! Did you win the tickets from something? Or did they randomly pick you? I won a sweepstakes. 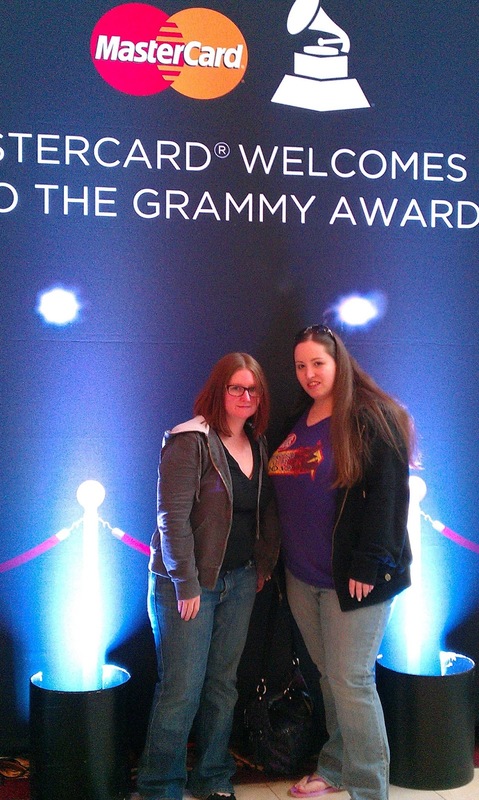 I think I have entered over 1000 sweepstakes since I turned 18 to go to the Grammys. Wow, how exciting! I would have probably assumed it was a scam too! What a fun experience! I was so excited and scared! I had such a great time though. A once in a lifetime experience. That's so fun! And you look gorgeous in your Grammy's outfit! 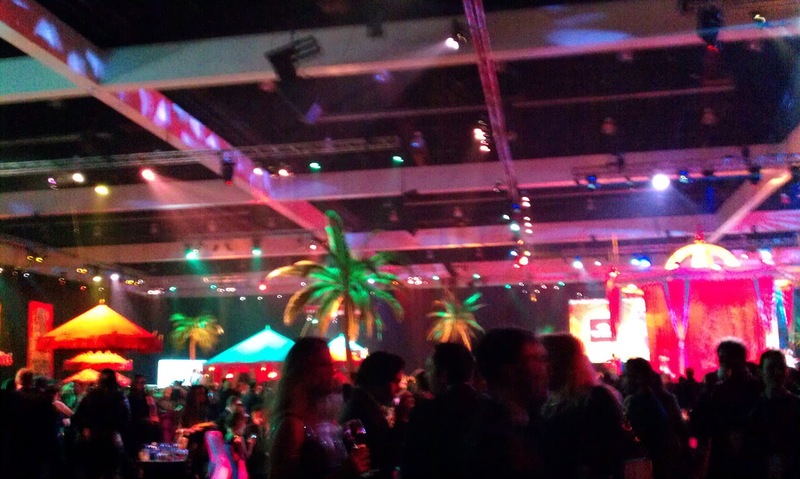 It was a blast AND the after party had free open bar and those drinks were strong OMG. What an awesome experience. Looks like they set you up in the heart of Hollywood, how fun. What an amazing once in a Lifetime experience. Thanks for sharing, I was holding my breath as I read this hoping it wasn't a scam! Agreed! You gotta be in it to win it!